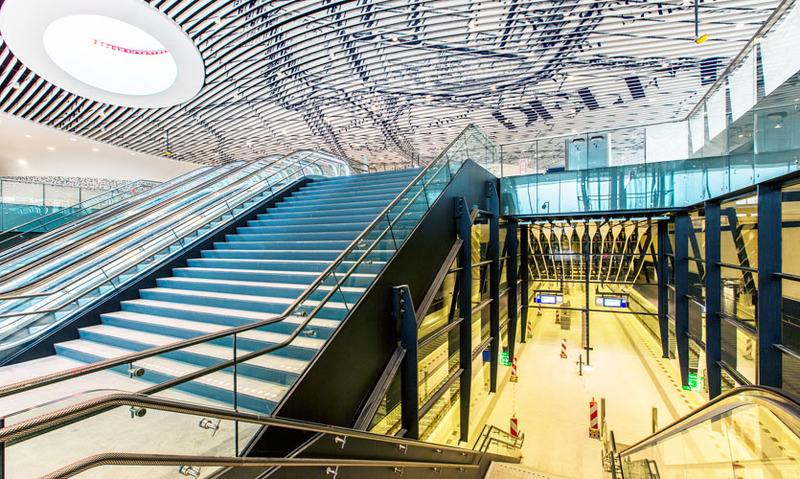 Delft station ceiling of curved white horizontal strips adorned with a historic city map in (Delft) blue arches above the public lobby and station hall. Visitors are welcomed coming up from the underground platforms. Delft station ceiling, view when boarding the trains and leaving Delft. Delft Station ceiling showing the historic map on both sides of the fins. 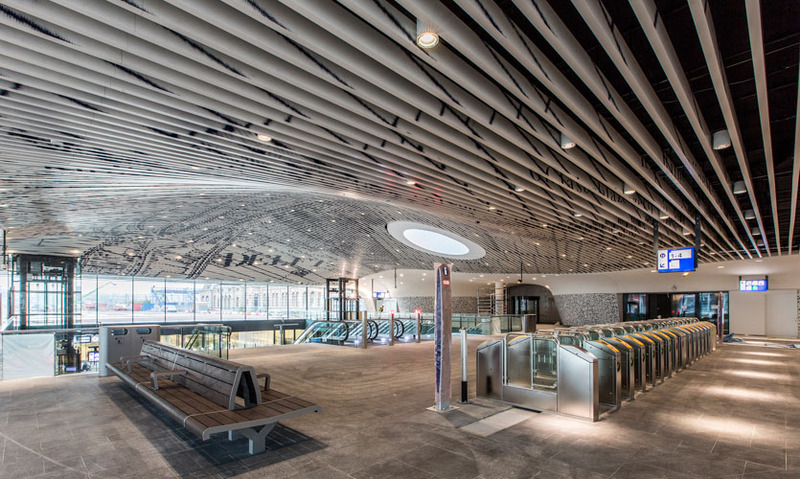 One of the most eye-catching features of Delft’s new train station and municipal offices is its large 7700m2 vaulted ceiling, adorned with an historic city map in Delft’s blue that arches above the public lobby and station hall. The unique installation creates a memorable experience and can be seen throughout the public space, from both the city entrance as well as the platforms. The map, which depicts Delft as it was in 1876, is created by nearly 30 million dots printed on both sides of 1,931 baffles. The projection of the historical map in iconic Delft blue is an example of how Delft’s rich history is interwoven with the technological ingenuity that is also ingrained in the city’s character. The beautifully drawn historical map shows the city of Delft, clearly indicating the very first Delft train station as it was located very close to where the new station has now been built. It also shows the city canal that will be re-established along Phoenix Street once the railway tunnel is finished. 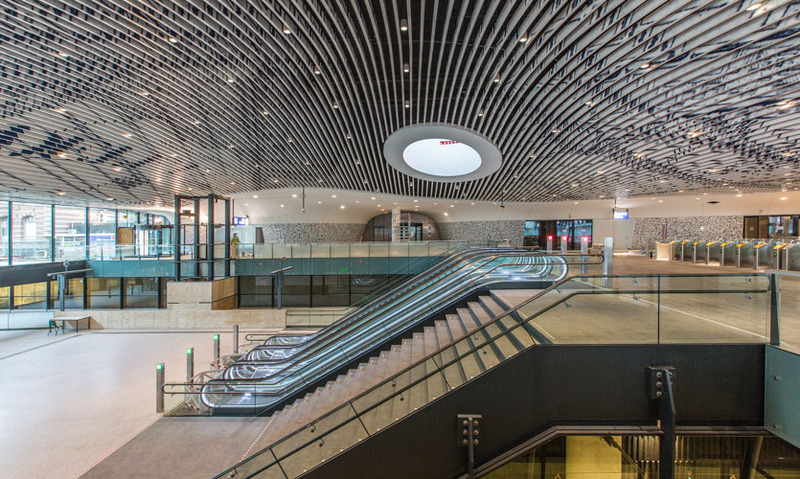 A key challenge for design firm Geerdes Ontwerpen was rendering the map on the complex ceiling structure and projecting the image on vertical baffles. Project manager/designer Martijn Geerdes developed custom software to create the printable image. The feasibility of the ultimate design was assessed using a virtual reality model and high-resolution rendering. 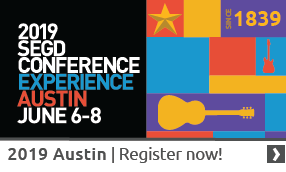 The cartography was extensively edited and the typography was generated in font software. 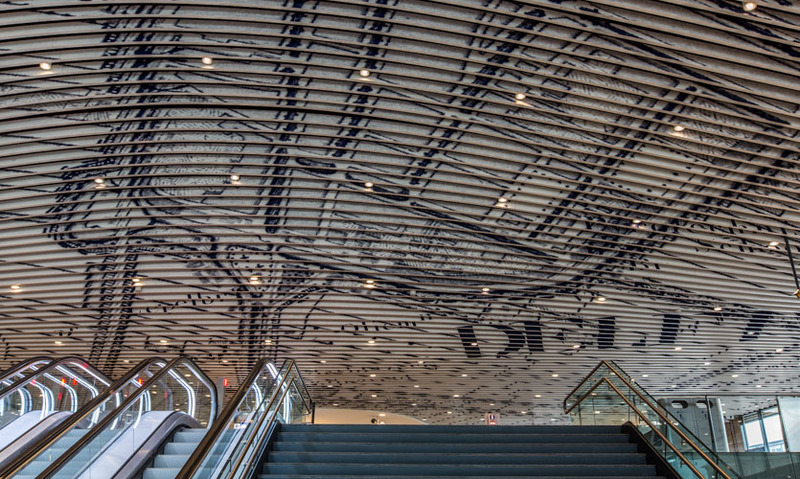 The entire installation comprises 3,862 print files for the artwork that stretches over 130 by 70 meters and uses 10.8 kilometers of printed film on 1,931 baffles. 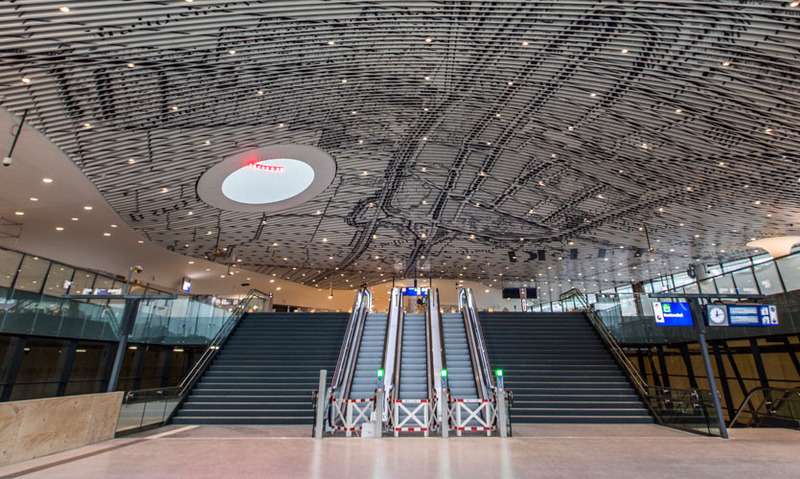 The installation has become an important brand tool and avatar for the Dutch city, and has been featured widely in the press and social media.